Planning on hitting the road this winter? Make sure you’re prepared for adverse weather conditions or other issues by packing an emergency kit. 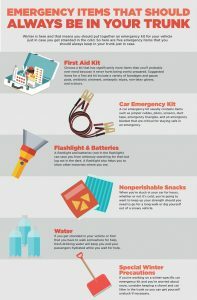 Here’s more information on what you should include in your emergency kit.